What is a torque motor (Motors for winding) ? 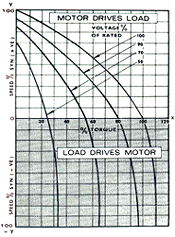 Torque motor is basically an induction motor; but with drooping curves. Torque motor specifies Stall (Lock) torque and no load speed on the name plate. A standard squirrel cage motor tries to maintain the speed as it is loaded while a Torque motor will drop in speed as it is loaded. MARK ELEKTRIKS developed Torque motor as import substitutes in 1971 and has since then supplied over 50000 Torque motors for winding for various other applications. Rubberised Fabrics, textiles 20 to 100Hz, 50 to 250 V, flange mounting type. Copper Wires from 8 SWG to 43 SWG. Strips of Copper, Mild Steel etc. Single Phase from 0.7 kg-cm to 35 kg-cm. Available in IEC frame sizes as well as modified mechanical frames for special applications. 'MARK ELEKTRIKS' can also supply one to one replacement to imported motors. Geared Torque Motors with planetory gearboxes are also available. For ganged application such as HDPE Tapes/ Monofilament Yarns etc. 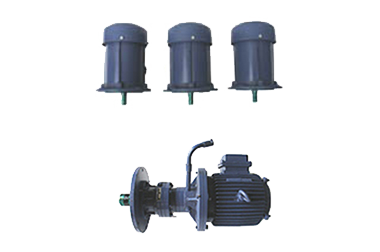 one common variac can control all the Torque Motors. This is possible because we manufacture Torque Motors (Motors for winding) for such applications within a close tolerance with similar T/ N Curves. Copyright © Mark Elektriks 2018. All rights reserved.